Panasonic's vision of the future involves powered assistant suits and robots for the elderly. If you ask Panasonic, the future is full of wearable robotic assistants... lots of them. 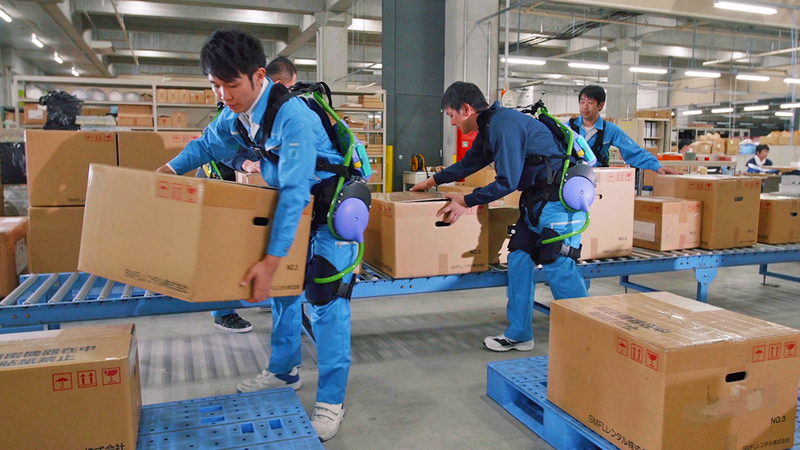 The Japanese tech giant has posted a video highlighting all the exoskeletons and service robots it's working on, and it's clear that the company wants to bring bionics to just about every facet of life. The Assist Suit (shown above) and Ninja respectively boost your lower back and legs, helping you lift heavy warehouse boxes or climb steep mountains. The Power Loader (directly inspired by Aliens), meanwhile, should help during construction work and disasters. Some of what's in the video is more about restoring lost mobility than improving what you already have. The Self-Reliance Support Robot helps the elderly move from bed to other tasks, like going to the restroom. Resyone, meanwhile, transforms from a bed into a reclining wheelchair. Is Panasonic's clip optimistic? Probably. These machines still tend to be expensive and limited (Assist Suit lasts for a maximum 8 hours, for example), so you probably won't see them very often in warehouses or retirement homes. Having said this, the sheer range of devices suggests that they could be widespread before too long.